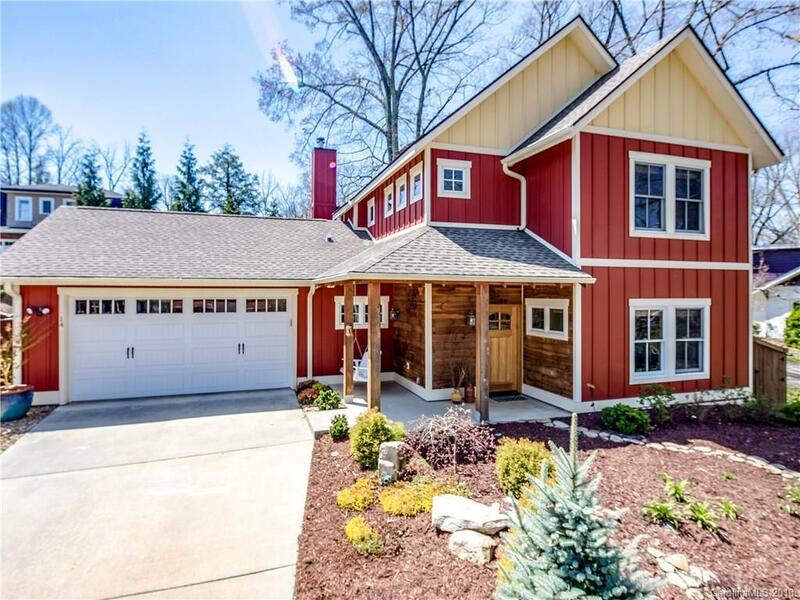 Don't miss this builder's custom Arts & Crafts Farmhouse in West Asheville. This like new home has been lovingly taken care of & no expense has been spared in upgrades. Well thought out floor plan with main level office/playroom. Gorgeous light fixtures, chiseled granite countertops, Ambrosia beams, stained concrete floors, & birch hardwoods upstairs are just some of what this charmer offers. Your buyers will love the private back patio & wonderful cook's kitchen for creating gourmet meals. Take a walk and visit with your neighbors. The seller says her favorite things about this house are the comfortable places for friends and family to hang out and the ability to walk to breweries, restaurants, parks, and grocery stores.